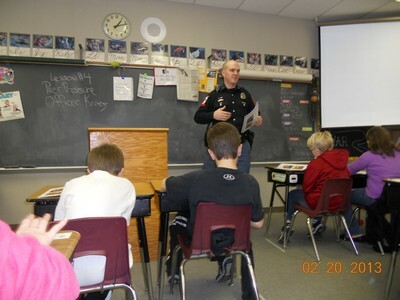 The Jasper Police Department DARE program was started in 1989 by the former Mayor and then Chief of Police William J. Schmitt. 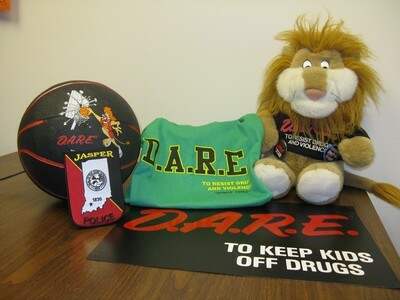 On the 10th anniversary of the DARE program in 1998, the officers had touched the lives of over 2,750 young people. To date that total is in excess of 4,000 young people. Each year the D.A.R.E. officers are given 10 weeks by the Greater Jasper School Corporation to enter the fifth and eighth grade class rooms to talk about the dangers of drugs and violence. This gives the officers an opportunity to talk to as many as 275 students for about an hour each week. The DARE lessons are designed to help young people make correct decisions at a very critical stage of mental development in their lives. Having a uniformed police officer teach the class creates more impact on what is said, plus the officer can relate real life experiences into the lessons. The program culminates with a graduation ceremony where family members, school and police officials and other members of the community are invited to congratulate the students on their successful completion. 8 ways to say "NO"
DARE Officer Jason Knies teaches a class at Ireland Elementary.